As you arrive at this Modern Home Bitter Lake home, you'll notice the location offers tranquil peace and quiet. 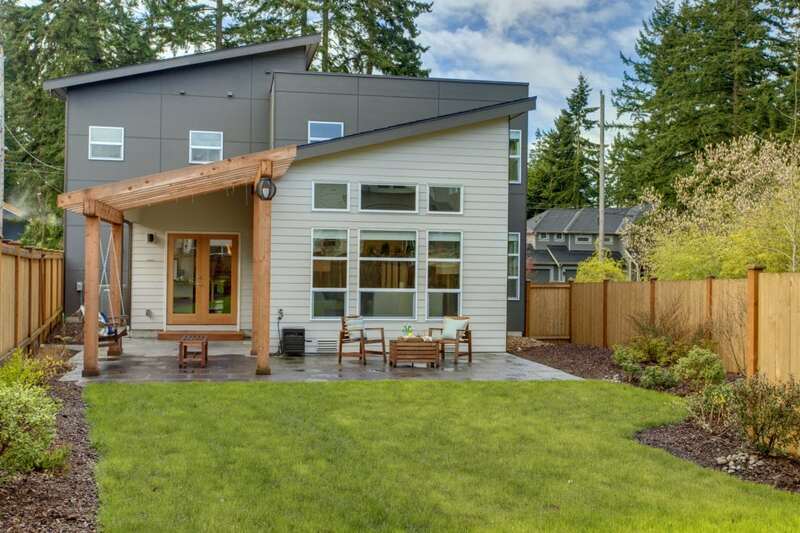 The design of the home is thoroughly modern and wonderfully northwest. If you think this is just another modern box you are in for some pleasant surprises. 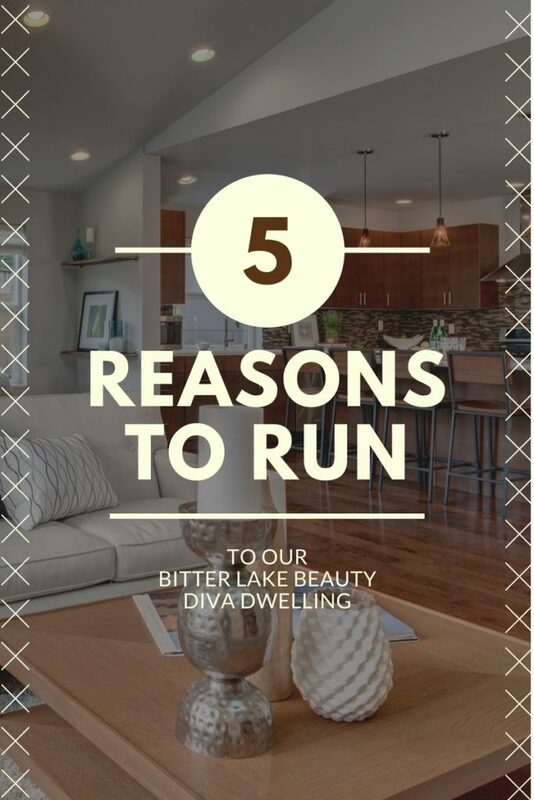 Check out our five top reasons to run to Bitter Lake this weekend and see this Diva Dwelling. 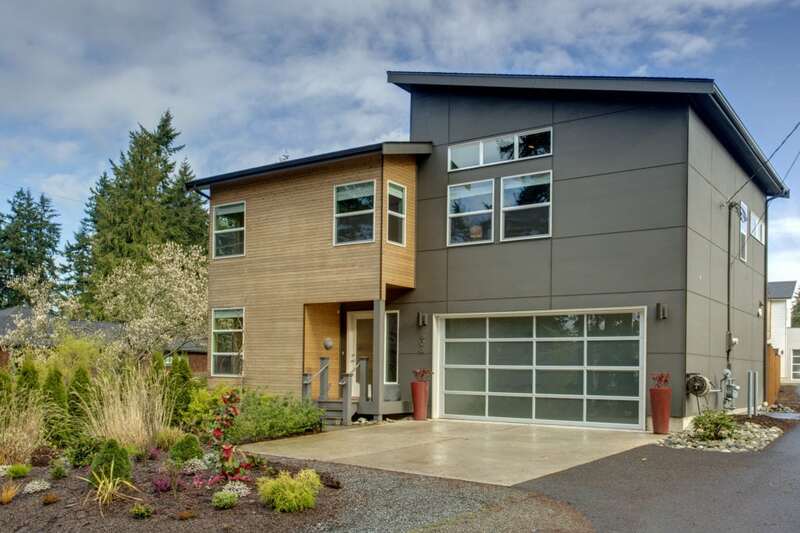 Come on in and see why we are in love with this stunning modern home in Bitter Lake in North Seattle. 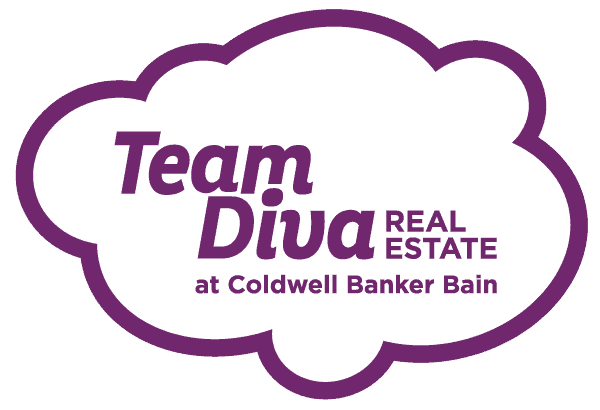 Located on a quiet dead end street sits this brand new home with one of the largest backyards we have ever seen in a modern home. 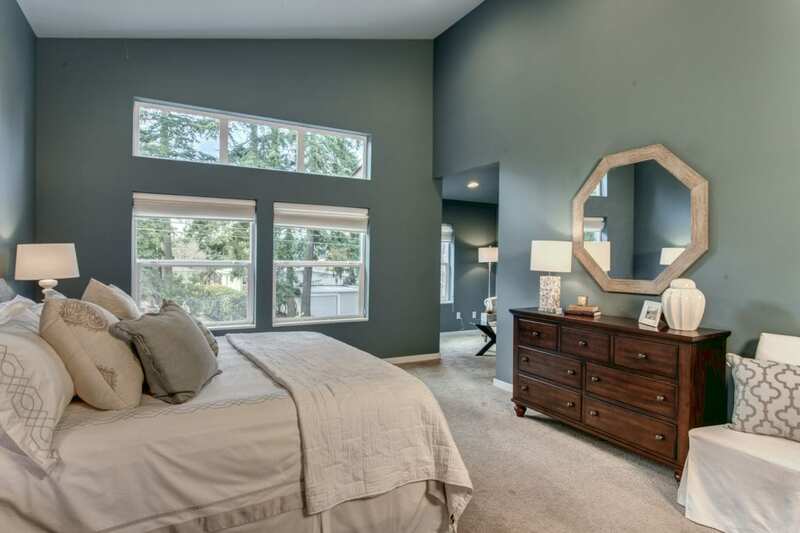 Check out why we think you should see run to see this home. You will feel guided into this home to explore all of its wonders. When you enter the home you may be tempted to head upstairs however, you’ll find the first floor is a spectacular start. The open layout of the kitchen, living and dining rooms complete with vaulted ceilings and gas fireplace inspire top notch entertaining. The chef in you will want to get right to work on a masterful meal. 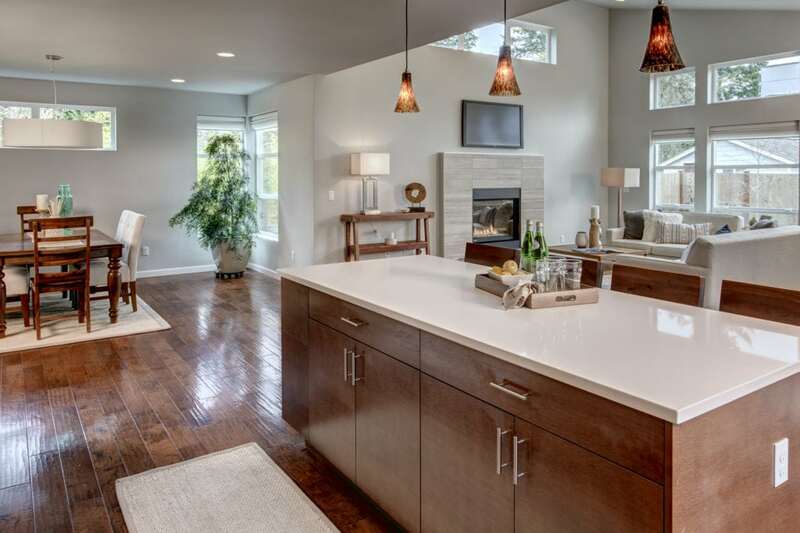 You’ll never run out of prep space thanks to ample quartz counter tops. Easily shift to the living room to spend time with family and friends. There is plenty of space to create a comfy, cozy environment for streaming your favorite shows, movies or sassy socializing. The dining space is sized for a long or adjustable table perfect for a HUGE dinner party. 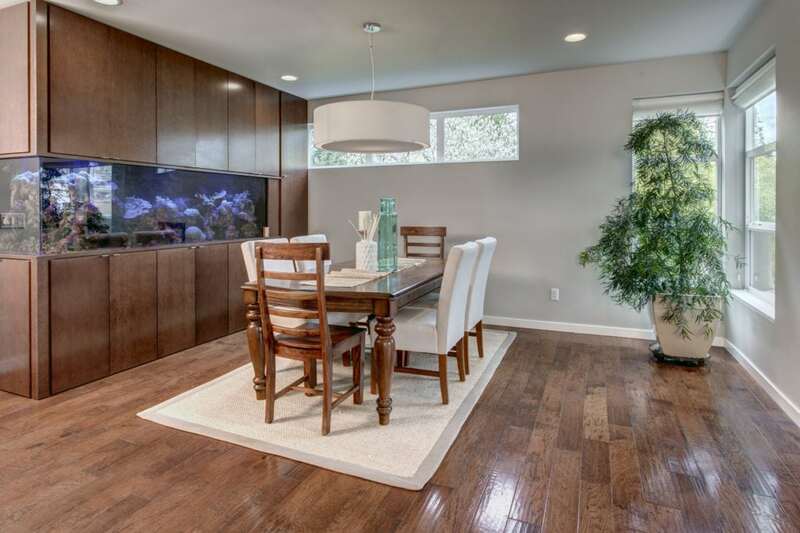 How often do you find a home that comes with its own fish tank, let alone a 400-gallon saltwater reef aquarium? If your inner child (or actual little child) didn’t just do a somersault over the idea of moving to a new home complete with aquatic pets, it will when you see them in person. Equipped with exotic fish, colorful coral, and crustaceans you will be captivated for hours. You can personally take on the maintenance duties or utilize the care-team already in place from Saltwater City. Either way, this tank is fully plumbed and easy to maintain. The sea life in the tank enjoys a high-tech lighting system set on a 24-hour sun cycle. When the lights are flashing, it’s an automated lighting storm! You control the system while you are home or away via the Ecosmart Live online controls. Not only are you able to care for your aquatic friends with smart technology. You can watch over the rest of the home with the Nest Protect smart technology system. A new generation of home care and protection systems. Industrial grade smoke sensors that differentiate hazards and tell you via your phone what is happening. You can also easily upgrade the system with cameras for added security protection. Keep your home the perfect temperature with The Nest Thermostat that can learn your daily habits and be programmed as necessary. Wifi enabled to be controlled and monitored via their online site or phone app. Whether you’re in the home or away from home, you can rest easy that everything is under control. For extra security, there is an ADT system installed which you can activate monitoring services. Home security and monitoring are ready and at your fingertips. You need to see the master suite in person to truly enjoy its diving living. The room easily accommodates a king size bed. And it has its own private nook for ensuite reading and relaxation or morning yoga. If all that was not enough the master closet makes this whole space absolutely perfect. Complete with a built-in organization system and gorgeous wallpaper that makes it feel like every morning you’ll be shopping for the day’s outfit in your very own shop. Outdoor space, we always love to talk about it but never get enough. The French Doors from the home lead out to the large, fully fenced yard complete with custom patio and arbor swing. As an added bonus there’s a gas line for a fire pit or gas grill. Fragrant, blooming plants are ready to enjoy year round. With lots of younger plantings, you can look forward to future added privacy from flowering trees along with the already well maintained towering cedars that play host to the occasional bald eagle. This yard has the perfect amount of space to enjoy, but not too much to care for. Whether you’re entertaining, relaxing or gardening – the tranquility you felt inside the home will match the outside.